I always loved Manicotti.I never liked to make it much though.I would cook the noodles, and I found it hard to get the filling into the noodles.They got really slippery when they were cooked.Sometimes they ripped and the filling would fall out.Until now.My friend Lillian, was making Manicotti at St Pius X Catholic School.I was volunteering at the clinic and went to the lunch room to get some ice.I got the chance to observe her.She was filling the Manicotti shells before they were boiled.What she did was add a extra cup of water to the sauce.The Manicotti then cooked in the sauce.I thought this was very smart.In fact, so smart, that I went home and made it the same way.Now I am blogging to yall about this.I know they have no bake lasagna noodles, but who thought no bake Manicotti noodles?It works!You know what else?You can make an extra batch and freeze it.You know, for those times you dont feel like cooking or dont have time? In a large bowl combine mozzarella, ricotta, cream cheese, eggs, salt, pepper and Italian seasonings. Stir until well blended.Put the filling in a zip lock bag. Place the uncooked manicotti shell into a coffee cup and squeeze the filling into the shell.Combine the marinara and the water. Spread about 1 cup on the bottom of a 9 x13 inch pan. Place the filled shells into the sauce lined pan. cover the shells with sauce and sprinkle with Parmesan on top. Cover with foil and bake 50 minutes. Take away the foil and cook another 15 minutes. I’ll have to try this! I love manacotti–I add seasoned hamburger to the mix–but those shells! What a pain! This sounds great! 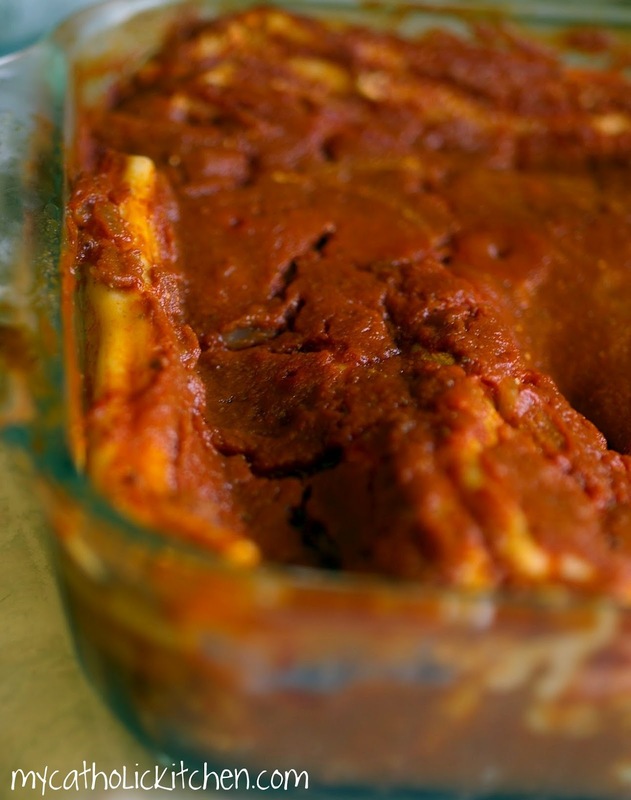 I love manicotti but had never tried making it just because I could imagine the scenario you wrote about. Now I have a good reason to try it. Yummy! Yummmmm.. that first pic looks so saucy and yummy I instantly got a pasta sauce craving! 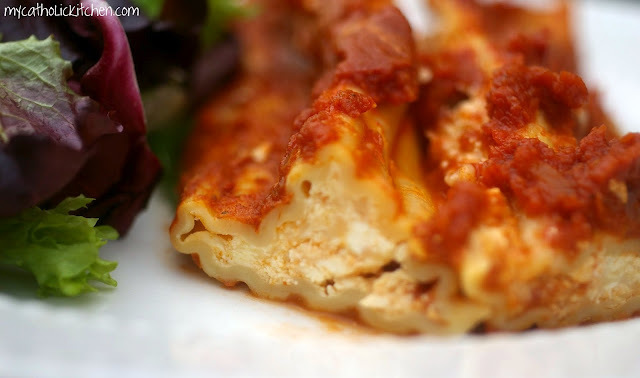 I love a good manicotti. Great work!